The St. Louis office of Lewis, Rice & Fingersh is pleased to announce that Michael T. Donovan has joined the Firm as Chairman of our Tax Department. 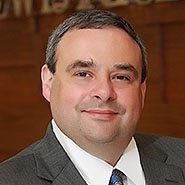 Mike was most recently a partner with Baker & McKenzie in Chicago. "We are fortunate to have a person of Mike's stature and extensive experience in tax law lead our tax practice. Our clients will benefit from Mike's breadth of knowledge and sophisticated counsel," said Thomas C. Erb, Firm Chairman. Mike has significant experience in all aspects of tax planning for partnerships and LLCs, corporations, real estate, REITs, and funds. He regularly advises clients in connection with merger and acquisition transactions, real estate projects, and complex partnership issues. Mike also counsels exempt organizations on issues relating to tax exempt status, intermediate sanctions, and joint ventures with for-profit entities. He has spoken and written extensively on a variety of tax topics, including a recent article for the Journal of Taxation on the complex FATCA final regulations. Throughout our Firm's history, Lewis Rice attorneys have made excellence the foundation of our practice. Founded in 1909, a century of service has given us the experience, resources and tools to serve our clients' dynamic needs. Our diverse team of over 150 attorneys provides counsel and solutions for the challenges facing local, regional and national businesses, as well as individuals and families. We have offices in St. Louis and Kansas City, and elsewhere in Missouri, Illinois and Kansas.